Every homeowner who has carpeting knows how tricky it can be to try to remove stains. While some marks are easier to get rid of, like spilled milk, others are impossible to fix yourself. That’s when you call in carpet cleaning experts. Below, Mr. K’s Carpet Service in Goshen, New York, shares five types of stains you should leave to the professionals. Mascara, eyeliner, and lipstick are the most difficult makeup products to get out of carpeting. No matter how much you vacuum and scrub, these stains will linger without deep-steam carpet cleaning from a specialist. Everyone’s spilled a little coffee or a can of soda, leaving behind an unsightly brown mark. You’ll find this color difficult to get out of your carpeting on your own because it’s so dark. The tannins in red wine give it that rich, bold hue. 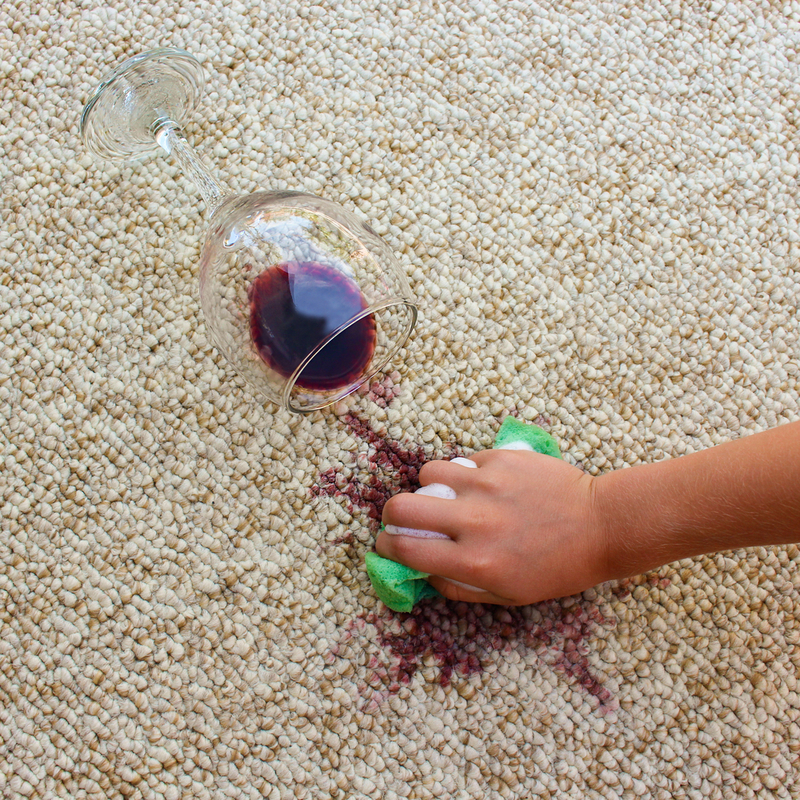 You can minimize the damage of spilled wine by absorbing as much as you can with a damp cloth right away. Then, bring in professional carpet cleaners, who will use their steamers to remove the coloring all the way to the base of the carpet. Pet stains are unique because they often happen in places where you don’t see them immediately, especially if your furry friend knows they’re supposed to go outside. Unfortunately, stains that have time to soak in and dry are hard to remove without professional carpet cleaning. Have you ever had a bloody nose all of a sudden and left droplets of blood on the carpet? The pigmentation of blood is so dark it doesn’t easily come off, even with a vigorous scrubbing. You’ll need a professional to help you remove the residue. Don’t waste hours of frustration scrubbing at these five hard-to-remove stains. Bring in carpet cleaning experts who have the equipment to get them out quickly, leaving your carpet looking like new. To schedule an appointment with Mr. K’s Carpet Service, call (845) 294-5345. Make sure to book early for your pre-holiday carpet cleaning! You can also visit them online.